Marcus Riehl has had it—with school, grief from his parents' death, and his Uncle's temper. Determined to break the "cycle", he decides to venture out into the Appalachian Mountains alone. 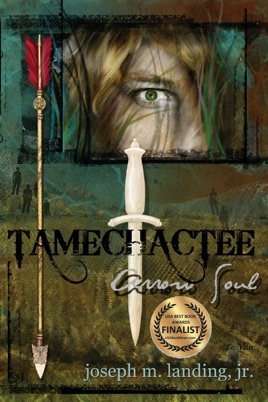 Hungry and second guessing his decision, Marcus is found by a member of a secret Native American tribe. During his first bow and arrow lesson, the tribe is extremely impressed at his incredible skill as a beginner. It reminds them of the ancient legend of the Tamechactee: the one who will emerge as a skilled leader to save humanity from an apocalypse. Meanwhile in France, a sinister being, only known as The Maker, has concocted a plan to globally set off nuclear bombs to bring humanity into submission. His plan? To rule as their God and mold Earth into his nightmare. Could Marcus be the legendary Tamechactee? If so, will it be enough to stop The Maker?